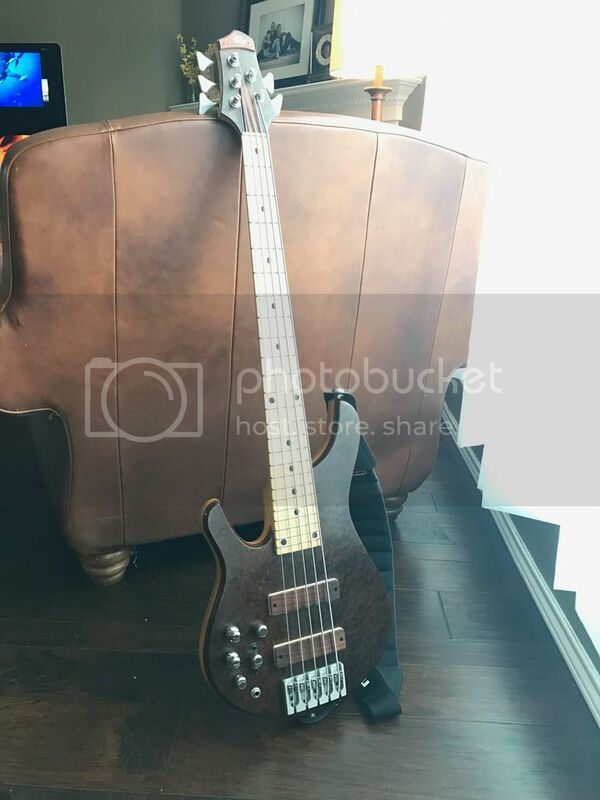 Selling my Rbass 5 string to fund something new. It's a fantastic bass. It plays great and sounds great. It records really well, and I've gotten complements on the sound and the look on every gig I've used it on. It's made by Ray Roger (used to build for Carl Thompson). It's a really great sounding 5er. 34" scale, the body and neck are both some type of light colored mahogany, the top is walnut burl and it has a maple fingerboard. 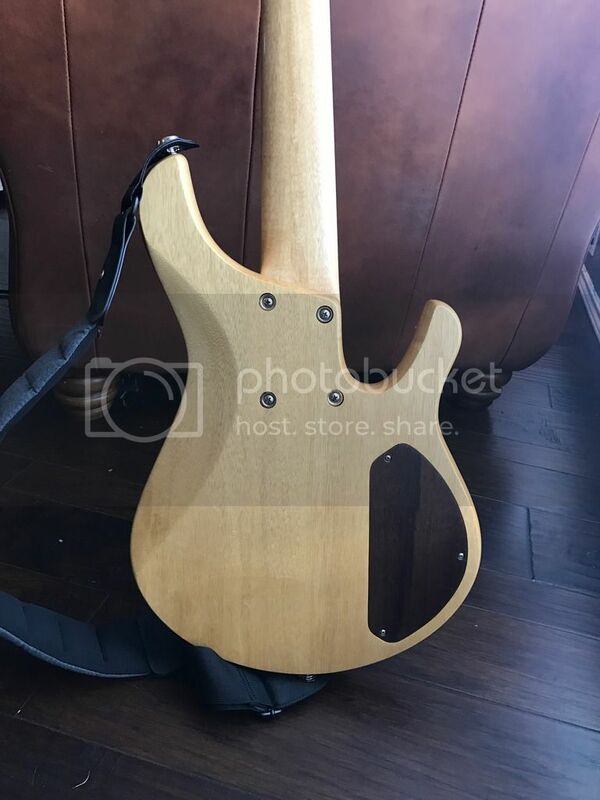 The pickups are Bartolini 5 string Jazz pickups under wood covers. It has a John East U-retro Deluxe preamp. Inlaid straplocks, and Hipshot hardware. It's a great instrument, but I've found something new, so it's time for it to find a new home. Asking $1500 or best offer. No reasonable offer will be refused!!! 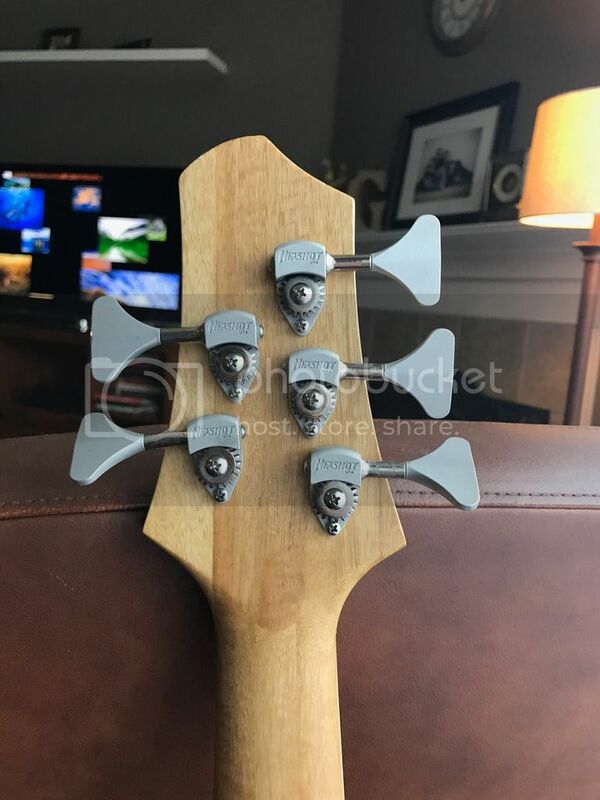 These come up fairly often on Talkbass Classifieds and sell for around $1800-$2500 depending on the model. Lots of people looking at this one. Don't forget, offers are welcome! Price drop: $1400 or best offer! Will ship in a hardshell case. Offers are welcome. Non USA buyers welcome as well. Still available. Don't be afraid to make an offer. Price drop: $1250 or best reasonable offer. 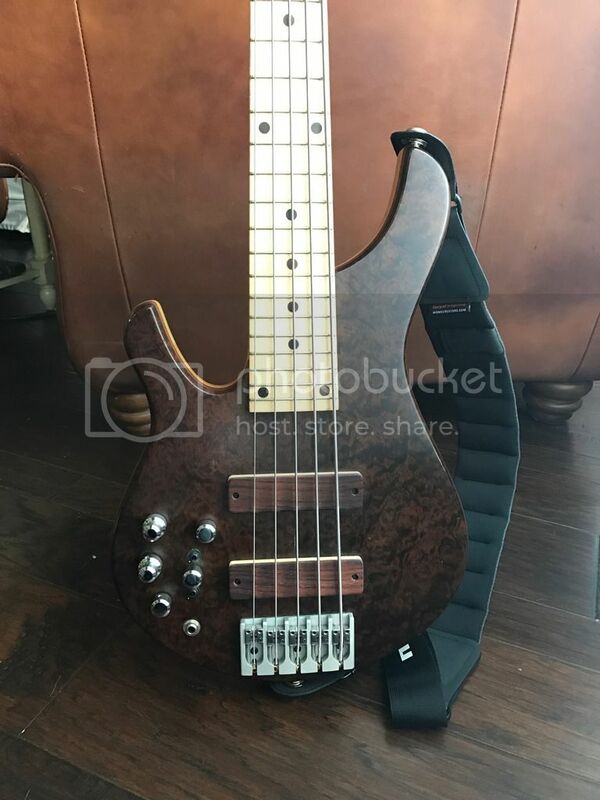 It's a beautiful bass, good luck with the sale. And maple board so CITES headache free. Looks like it is sold on Reverb.com. If that falls through I will update here.